Serving Wisconsin and beyond with attractive functional storage and recreational buildings constructed by North Star Portable Buildings, a Family owned Wisconsin company since 2005. 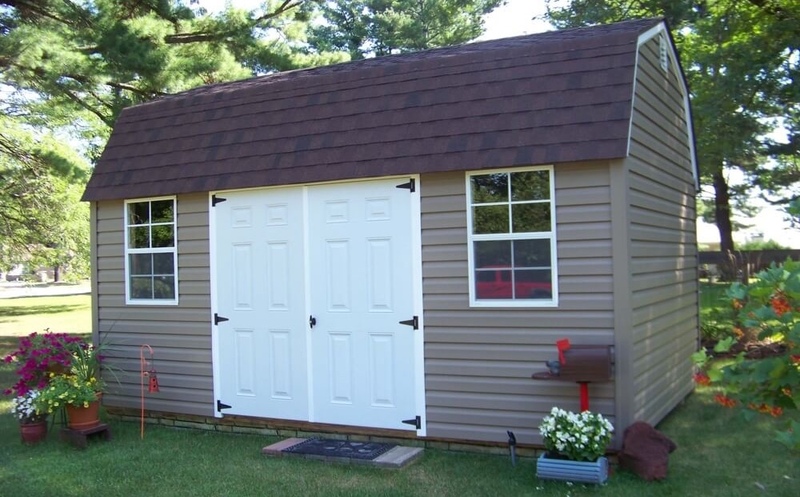 Our Pre-built portable building styles include: Garden Sheds, Utility sheds, Lofted Barns, Cabins, Garages and more. Pressure treated T1-11, LP Smart Panel, or Vinyl siding(extra) with your choice of 30yr Architectual shingles or metal roofs both with many color choices. 2”x4” reinforced wooden or LP doors and attractive vinyl doors on vinyl buildings. Customization welcomed, tell us your ideas and we will try to make them reality. Our *Free delivery and set up offer covers most of the State of Wisconsin. With our special equipment we are able to maneuver your building into tight spaces. *Some mileage limits apply. Ask for details. Take a look at some common questions others have asked.